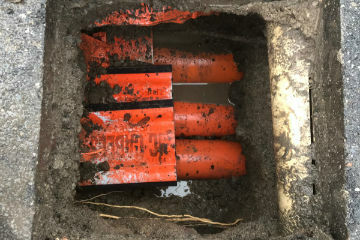 Non-destructive digging in Melbourne, VIC involves excavation using high-pressure water, known as Hydro Excavation to remove material such as soil, dirt, and sand. The debris and water are vacuumed into a holding tank, which allows for easy waste removal and creates a cleaner worksite. Nondestructive digging is a safe solution to avoid damage to existing underground infrastructure and can be used in conjunction with traditional methods of underground boring and trenching to provide confidence when digging in the vicinity of valuable assets. The risk is greatly reduced when using a high-pressure water jet to expose underground utilities such as cables and pipes that you want to access. When using this method repairing the ground is much easier. This makes it a better choice in places that require minimal disruption such as high traffic areas.